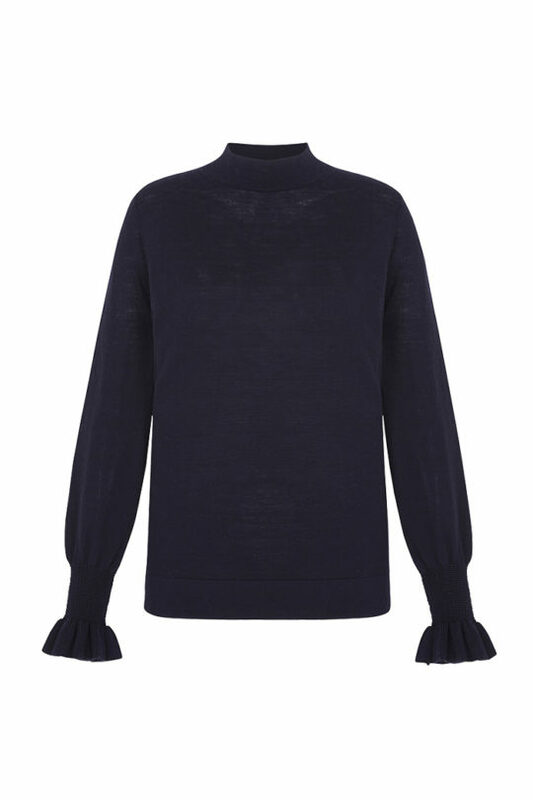 A ruffled neckline details this feather-light navy blouse, which offers endless styling possibilities. 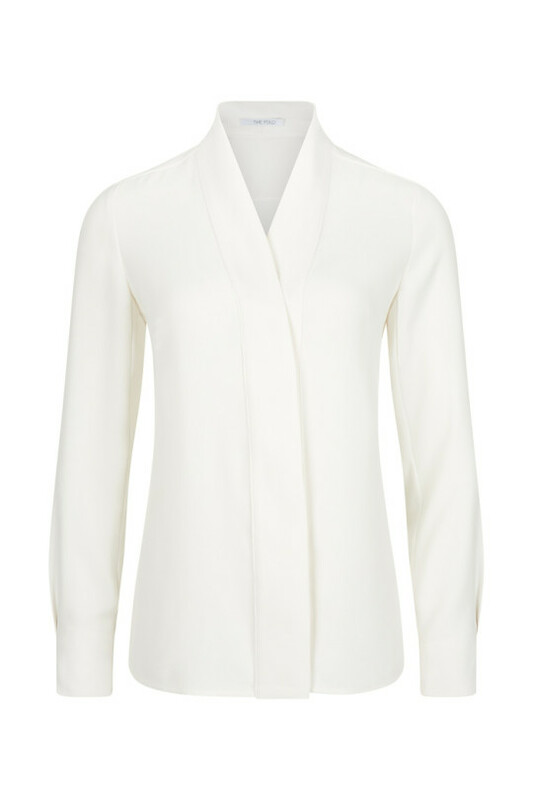 The Lancaster blouse is beautifully cut from light-as-air Italian navy silk chiffon for a floaty, relaxed silhouette. 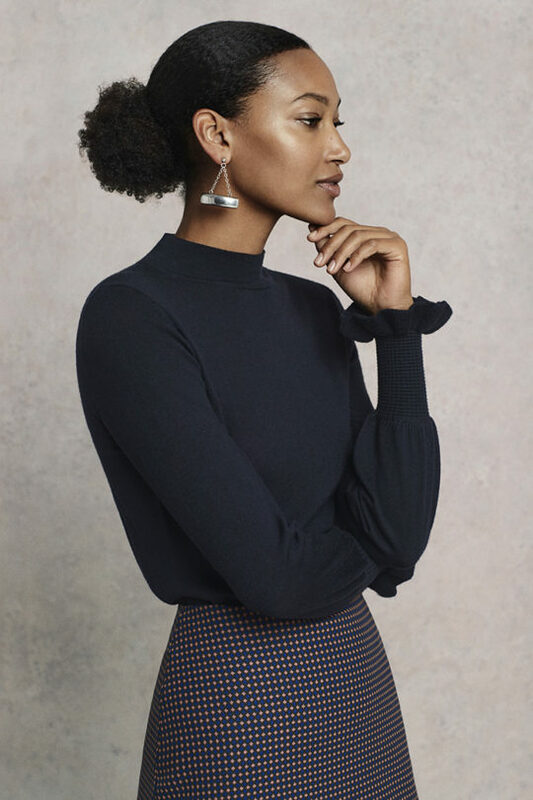 It is accented by ruffles on the sleeves and neckline, which can be adjusted with a drawstring tie for the perfect fit and lined with a navy cami. This easy day-to-night top can be worn loose or tucked into tailoring. 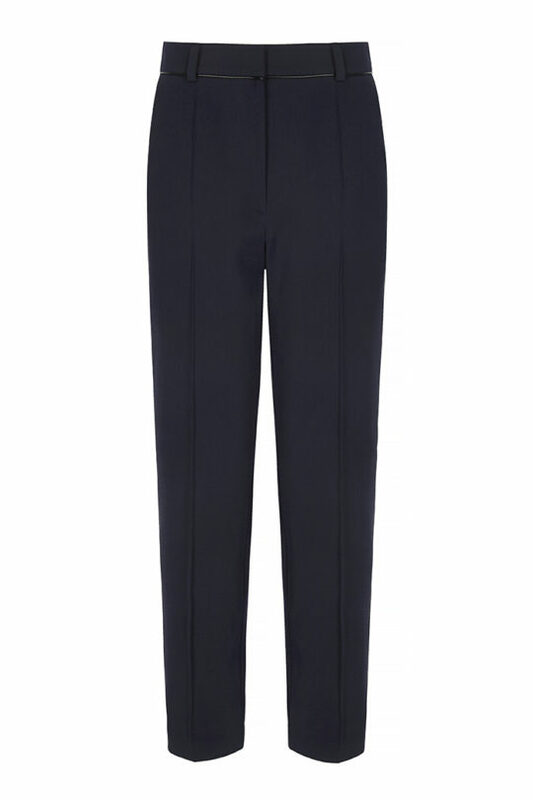 Styled here with the Delvino Trousers Blue Jacquard.